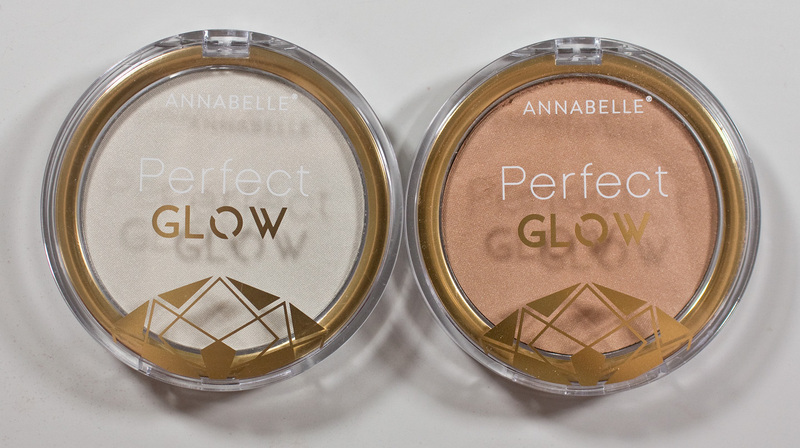 Annabelle Perfect Glow Highlighter in Topaz & Golden Topaz. These Annabelle Perfect Glow Highlighter retail for $9.95CAN for 6.5g / 0.29oz of product. There is also the third shade in Quartz that was too dark for my skin tone. The formula is a low lustre powder with a pearl finish on the skin. These are subtle for a higher but they do give a nice glow that can be built up. Topaz is a white base gold with a pearl finish. Golden Topaz is a warm beige base gold with a pearl finish. 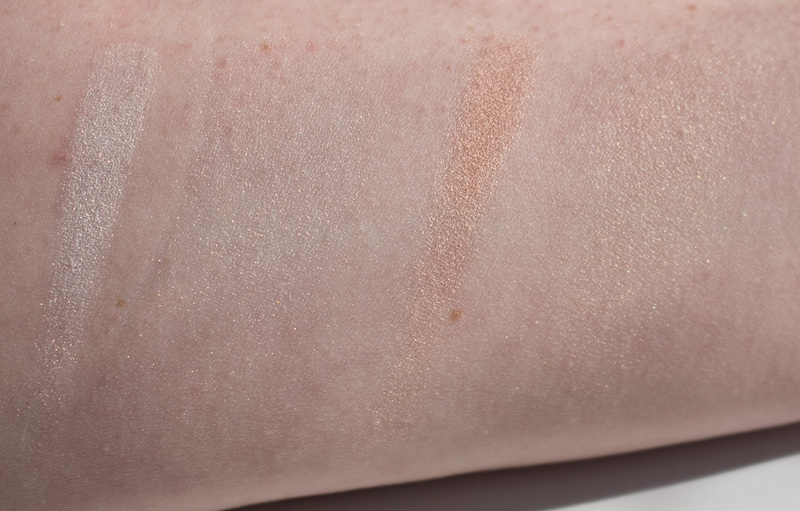 Wear: I get 7+ hours on average on bare skin and last longer over foundation. Packaging: Simple clear lid plastic compact. 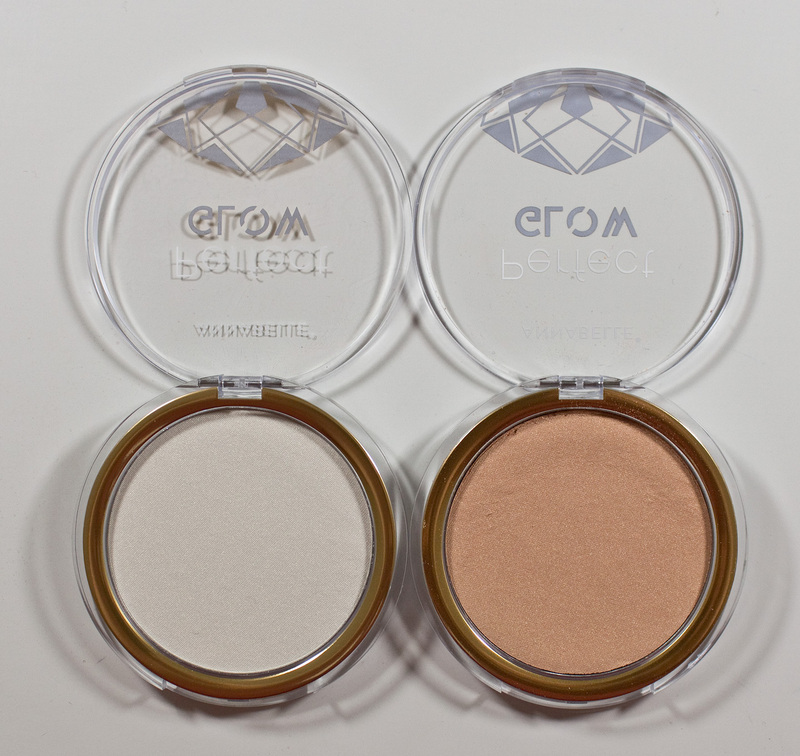 Daylight swatches: Topaz & Golden Topaz, Heavy and buffed out. 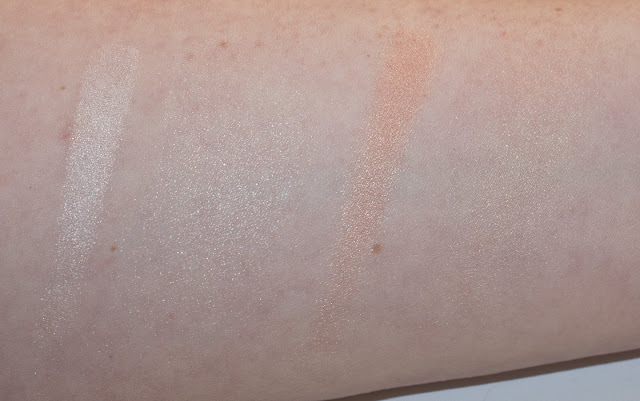 Flash swatches: Topaz & Golden Topaz, Heavy and buffed out. 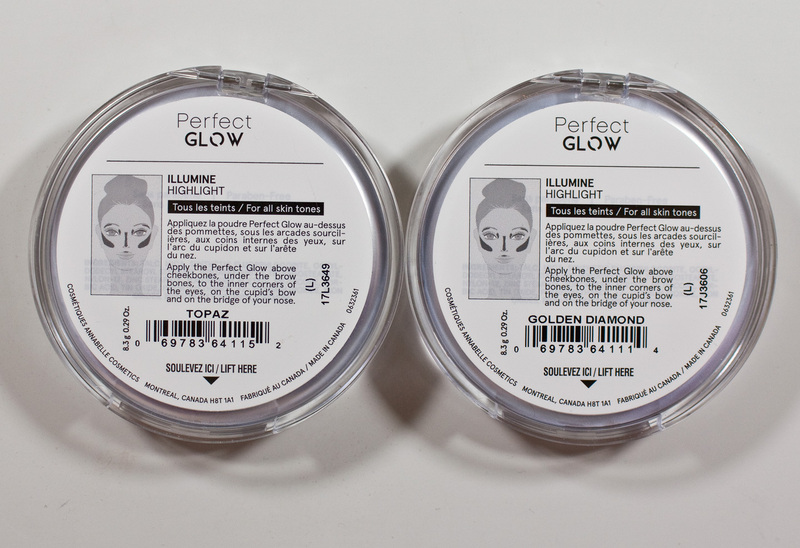 These are nice highlighters but their not a blinding as I was expecting them to be. 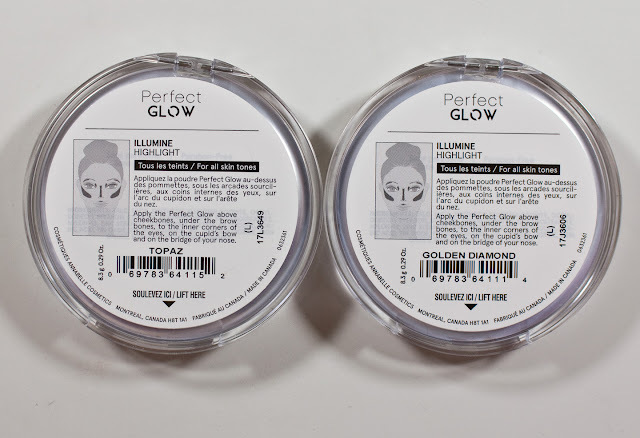 If you like you highlighters a little more subtle these are for you as you can really mess them up unless you're intentionally trying to pack them on your face.